It is safe to say that I love Disney and adore Walt Disney World. 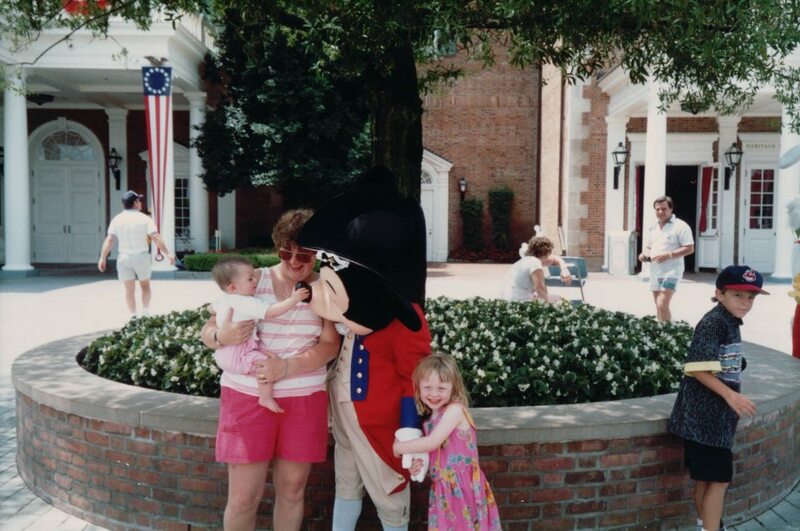 I am 26 years old and the first time I visited Walt Disney World was when I was 8 Months old. As you can see from the picture above it was love at first sight, Mickey Mouse and Me. Since then I have visited many Disney parks, Disneyland Paris, the original Disneyland in California and also the Disneyland Park in Hong Kong. They are all lovely in their own way but my favourite will always be Walt Disney World. Tears fill my eyes when I see Cinderella’s castle and they fall when I am watching the many firework displays and of course my absolute favourite Fantasmic. On this blog you will find lots of information and tips about Walt Disney World along with a few beauty reviews and food ideas! It would mean the absolute world to me if you would subscribe to my channel, I am hoping to have a lot more exciting content in 2017. 5 Tips for First time gym goers. Hector Hernandez on MRI – How did it go? theprincessadventure… on MRI – How did it go? Claire Kilby on MRI – How did it go? I got my results through today, I am so lucky and thankful to say that my lump is benign. Thank you for all of your support over the difficult last few weeks. I am now looking positively to the future and feeling so lucky.